Need dump truck insurance in Tennessee? 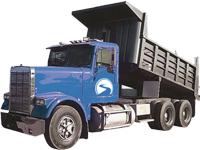 Call Pathway Insurance at 1-800-998-0662 or click on Tennessee dump truck insurance to start a quote. Purchasing Tennessee dump truck insurance is required by law. 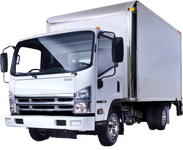 Besides the legal requirement an appropriate commercial truck insurance policy can protect you financially from claims, accidents and lawsuits. Road hazards, other drivers and natural disasters can have a serious and costly impact on your business if you don’t have sufficient insurance protection. Don’t get caught uninsured. Pathway Insurance offer great rates on dump truck insurance in Tennessee, Georgia, Ohio, Indiana, Kentucky, Michigan and Florida. 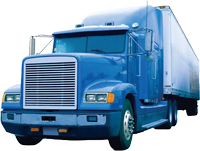 Dump Truck Insurance Tennessee – How to Keep Your Cargo Safe. Every state has different requirements for how you transport your cargo, be it construction debris, gravel or dirt. A few things to keep in mind is to make sure you are not overloaded for what your dump truck is rated to haul. When your haul is loaded be sure to adjust for the added weight. You don’t want to take a turn too sharp and tip! Be sure to properly strap down any loose items like pipes, and it’s a good idea to cover finer loads like dirt and small rocks with a tarp to keep any part of your load from coming out. Am I Covered When This Happens? John is an independent dump truck operator. He’s currently working a job hauling long pipes for construction. He’s on his last haul of the day when he sees the horizon begin to get dark and cloudy. With the storm on the way John wants to get loaded up and finish quickly. As he’s on the road the winds begin to pick up considerably. He adjusts his driving for the conditions and continues cautiously. Suddenly there’s a lightning strike nearby that hits a tree. The tree topples over and crashes into John’s truck causing over $10,000 in damages. He’s okay, but his truck is not drivable. Would his insurance cover his damages? If John had the foresight to purchase comprehensive coverage on his dump truck he would be covered! Great Options on Dump Truck Insurance in Tennessee Are One Call or Click Away! Pathway Insurance can help you get the coverage you need. Contact us at 1-800-998-0662 to speak with an experienced agent or click on dump truck insurance Tennessee to get started on an online quote.